Collection times: BY APPOINTMENT ONLY 08:00–16.30 - Monday - Friday. 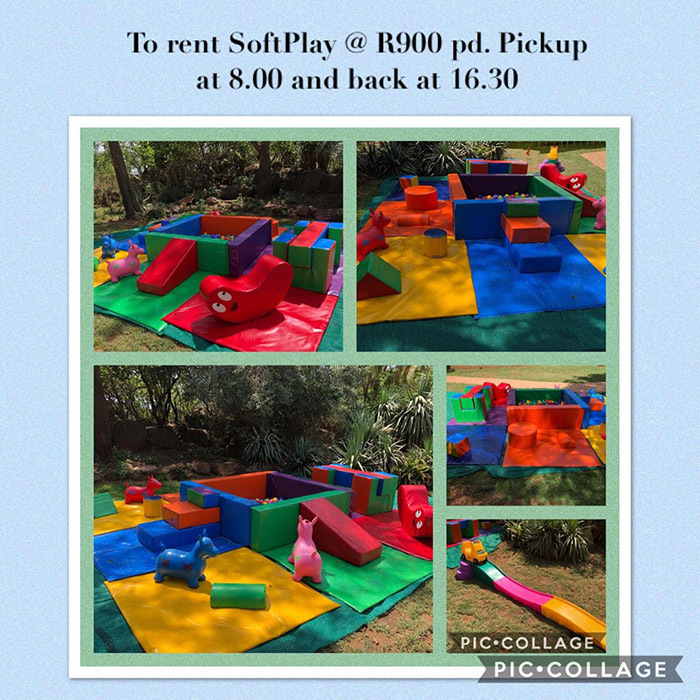 * Small palm tree jumping castle with 100 balls and motor but own lead @ R350.00 p day or R500.00 per weekend. 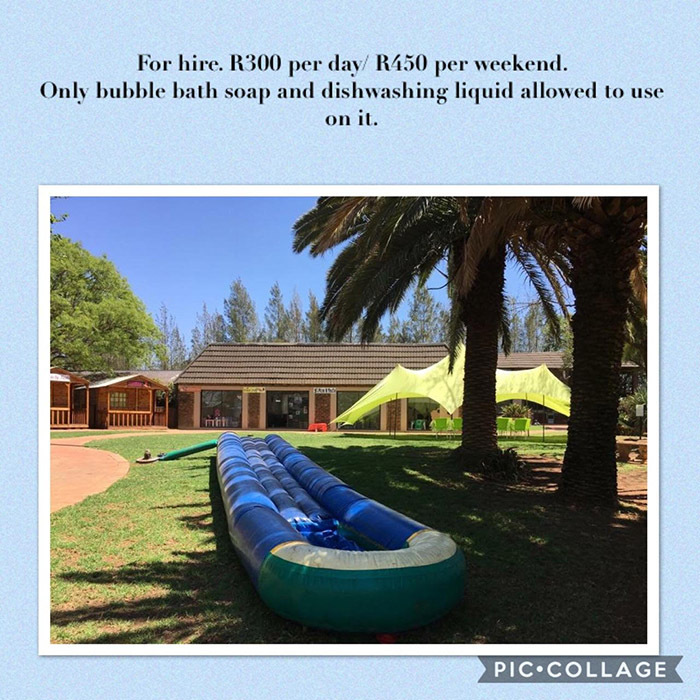 * 9m Water Slide with motor but own lead @ R300.00 p day or R450.00 for weekend. 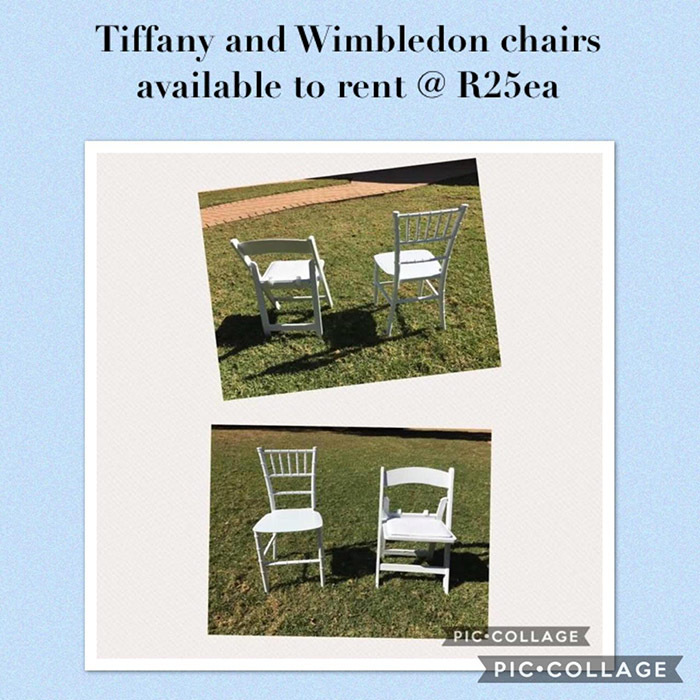 * Kiddies Wimbledon chairs @ R25.00 ea. * Kiddies Tiffany chairs @ R25.00 ea. * Jolly chairs with BLACK/WHITE stretch cover @ R15.00 ea. 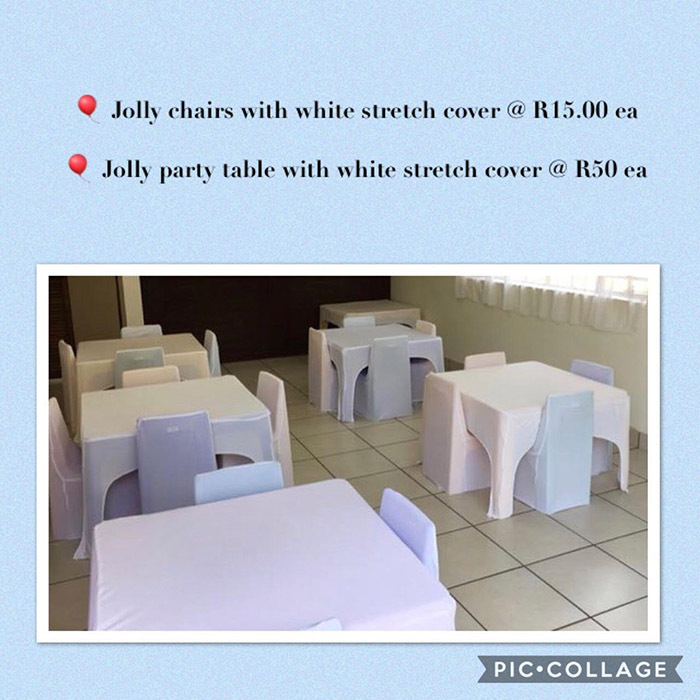 * Jolly party table with BLACK/WHITE stretch cover @ R50.00 ea. 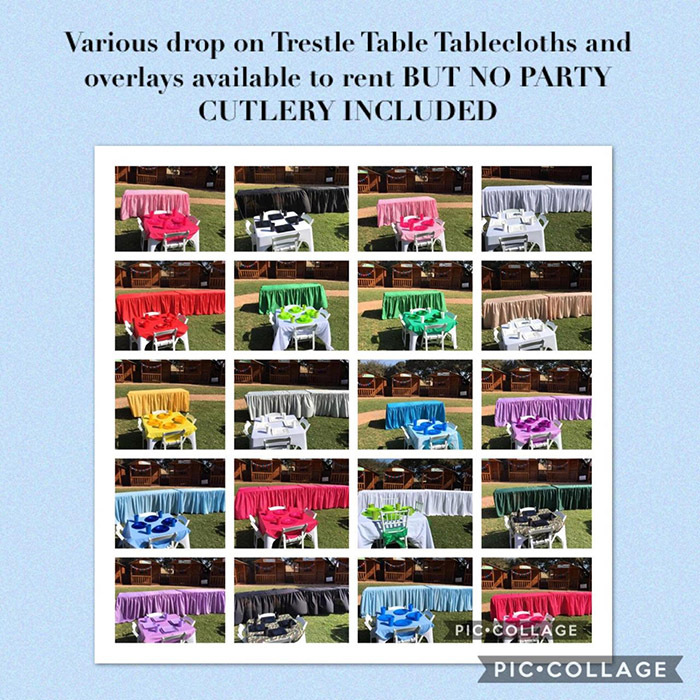 * Plain Jolly party table over lays available in different colors @ R10.00 ea. * Different color bows for party chairs @ R3.00 ea. 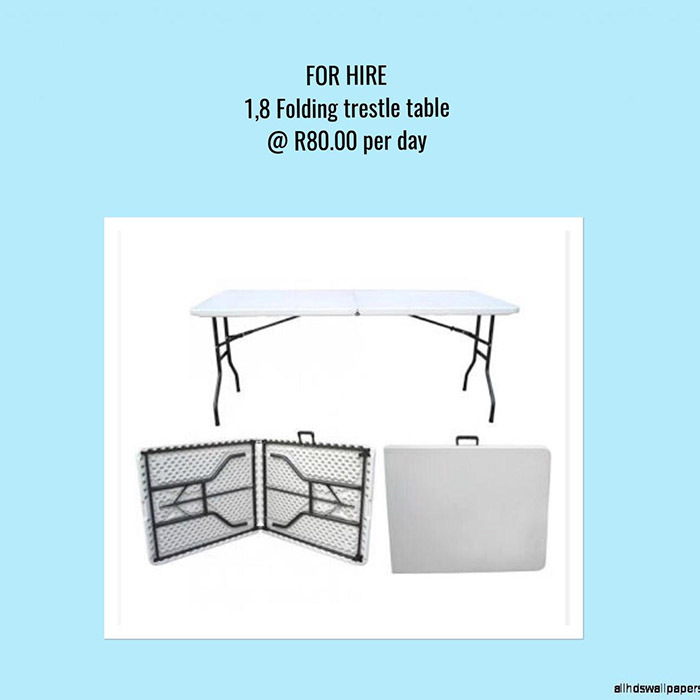 * 1.8m Folding trestle table @ R80.00 per day. 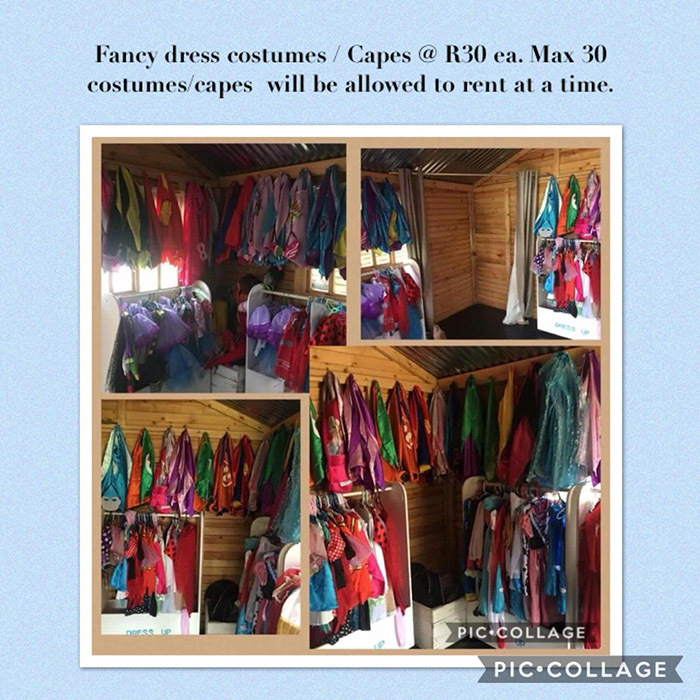 * Fancy dress costumes / Capes @ R30.00 ea MAX 30 costumes/capes will be allowed to rent at a time. ALL THEME DECOR WILL BE SOLD. ALL AS PER THEME SOLD TOGETHER. 6 COOKING STATION SETS - ALL COOKING AND BAKING UTENSILS/GOODIES WILL BE SOLD - 6 SEPERATE SETS WILL BE SOLD AS PER SET. Copyright © 2013. 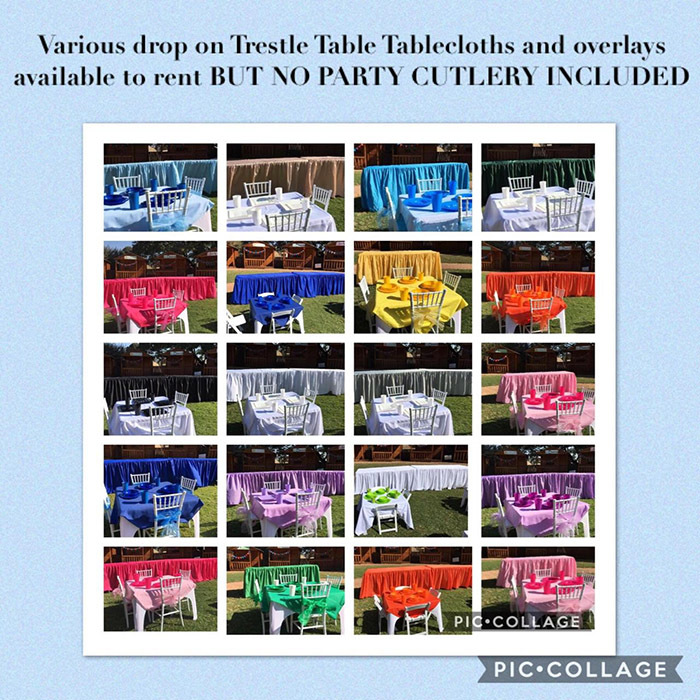 Kids Party Venue Rights Reserved.